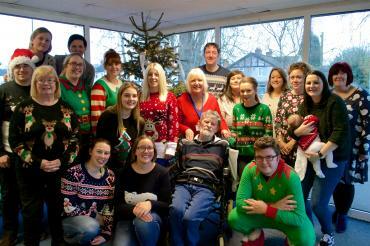 Wishing you a very Happy Christmas from all of us at Take a Break Warwickshire. A huge thank you to you all for making Take a Break possible. After 21 years at Take a Break, I am leaving to take early retirement. I have thoroughly enjoyed my time here and it has been a privilege to work with you all. 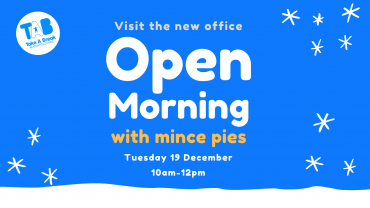 Join us on Tuesday 19 December at TAB's new office for an Open Morning with mince pies! Drop in anytime from 10am-12noon. The Take a Break Warwickshire Main Office is now based at a new address. Thank you for your patience during this period of change. We look forward to welcoming you to our new base! ‘Thyme to Be' is a project that will give family carers an opportunity to be part of a group who meet regularly to grow, harvest and eat together. The project is funded by the Bupa UK Foundation. The project is being delivered at Ryton Organic Gardens, Coventry. 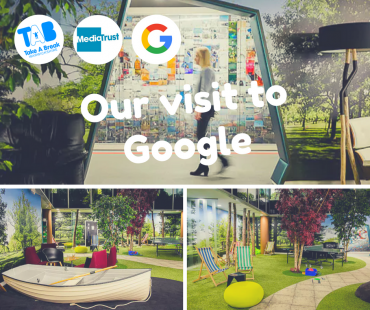 In June 2017, we were invited to spend the day at the Google office in London. Read on to find out more about our visit. We were introduced to Google by Media Trust. Media Trust is a charity that gives a voice to other charities through training and volunteer matching with experts from the media industry. This evening me and my friends from Ladies Group had the best session ever. We went on a canal barge trip with Hargreaves from Nuneaton. The trip was absolutely free. The crew on the boat were very friendly and pointed out lots of places of interest along the canal route. Take a Break Warwickshire is committed to supporting the Warwickshire Employability Charter, and we now bear the charter mark. Here is a list of Spring Half-Term Holiday Activities for children and young people prepared by the Nuneaton and Bedworth Community Development team in Warwickshire County Council (download below). This list is by no means exhaustive and the activities may be subject to change. You can find more news and information on the @nuneatoncommunities facebook page. 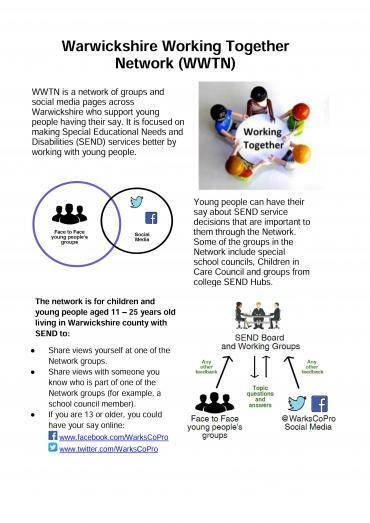 WWTN is a network of groups and social media pages across Warwickshire who support young people having their say. It is focused on making Special Educational Needs and Disabilities (SEND) services better by working with young people.